Over the past 25 years, the real estate industry has made tremendous progress in methods for determining values for residential real estate. There was a time when local Multiple Listing Services (MLS) would periodically print hard copy books which contained the recent sales in a particular area. By definition, this hard copy book was out-of-date by the time it was compiled, edited, printed, and distributed to the local real estate companies. In addition, this book was not available to individual homeowners who were trying to determine their home values. Therefore, most homeowners were left in the dark and had to rely on word of mouth to get some sort of idea of the value of their homes. Zillow is the leading real estate market place available on the Internet. It provides access to homes that are for sale and rent. It has more than one million listings available and many of them cannot be found on any local Realtor Multiple Listing Services (MLS). With Zillow, a homeowner can search for a home with the best schools, compare neighborhoods, and find Zillow’s detailed estimate of a home’s value. There are four ways to search using Zillow: search via GPS locator, voice search, by address, or draw a custom region on the map. Trulia gives home sellers and home buyers many tools to help homeowners determine home values and home inventory in their area of interest. In addition, Trulia’s state of the art functionality and mobile friendly products allows homeowners to search for homes available, homes that have sold, and various other local market statistics. Trulia has mobile apps for both the iPhone and Android phones. HomeFinder is a great tool for both home buyers and sellers. It provides an easy to use search capability, as well as a full mobile search capability with the Real Estate Search iPhone app and Real Estate Android app. Both apps are optimized for the mobile device. Whether you are at home or on-the-go, you can easily access their more than four million national real estate listings. In addition, the site has a mortgage calculator and monthly mortgage estimates on every home for sale. You can set up save searches to allow homeowners the ability to quickly focus on specific areas of interest. You easily can find homes currently for sale, open houses, and recent home sales. Redfin was one of the first real estate website services to offer map-based home searches vs. keyword searches. With their online tools, homeowners have access to many valuable services to help make determining a home’s value simple and straight forward. With Redfin, you can see both realtor listed homes and homes listed for sale by owner. ForSaleByOwner has been one of the leading real estate website since the late 1990s. It has allowed homeowners to sell their own properties and save thousands of dollars in real estate commissions. No longer do the homeowners face the problems and high costs of marketing their for sale by owner homes. It offers a variety of options and gives homeowners the choice of how much they want to do on their own. While the original intent of the site was to help for sale by owners, it is also is a great sources for determining home values. Homes.com is a real estate site that has helped changes the way real estate is bought and sold. Now, everything can be done online in a few simple steps, allowing you to maximize the use of your time. It doesn’t matter whether you’re a seller, buyer, or agent, you’ll get the information you need at homes.com. In addition to a great place to find and sell all kinds of household and other items (furniture, tools, appliances, pets, roommates, etc. ), Craigslist is also an excellent tool to determine the value of your home. More than one billions real estate ads have been posted on its site, and it receives more than 50 million visitors per month. Real estate ads are free and it easy to see homes for sale in your area. 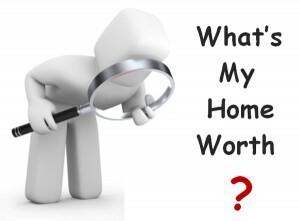 The bottom line is there are many, many options for homeowners who are looking to determine the value of their homes. If all these website seems a little intimidating, you can always contact an experienced local real estate investor, like RVA Home Buyers. They can give you a free, no hassle, no obligation market value estimate. Also, many of the real estate brokerage companies will often do a free market analysis for homeowners. While there is no obligation, the realtors are certainly looking to solicit your business once the market analysis is done.